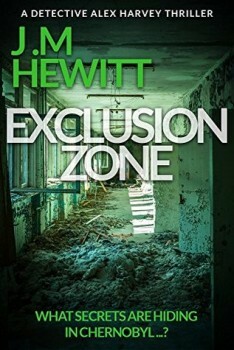 EXCLUSION ZONE is available from Amazon. ‘A thrilling story, brilliantly told.’ – Tom Kasey, best-selling author of Cold Kill. J.M Hewitt is a crime writer living in Suffolk. The author won the BritCrime Pitch Competition 2015 and was selected as a finalist in the Twisted 50 Short Story Horror Collection 2016. She is a member of the International Thriller Writers, The Crime Writers Association, the East Anglian Writers and is a regular at The Felixstowe Book Festival.